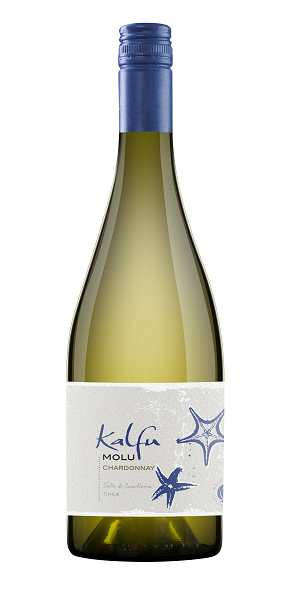 Kalfu Molu Chardonnay has an elegant and expressive nose, notable for its tropical fruit aromas, such as papaya and pineapple, which blend harmoniously with gentle notes of citrus. A well-rounded wine with good volume, delicious acidity and a gentle finish in which the fruit aromas predominate. Best served at between 8° – 10 ° C and an ideal partner to fatty fish, pasta and white meats. Ageing potential of up to 4 years in ideal cellar conditions.